Health workforce management and planning is serious business, but it can be fun too! 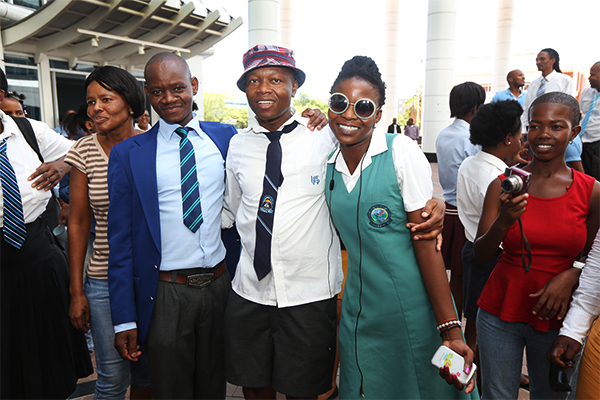 Health decisions-makers at the Botswana Ministry of Health recently cut loose during their annual Back-to-School Day. CapacityPlus’s Twaha Kabocho [from the iHRIS team] was in the country and captured the photo below. Twaha visited the Ministry for several weeks to teach HR managers and data clerks how to use the open source iHRIS software. The Ministry is using iHRIS Manage, iHRIS Qualify, and iHRIS Train to track in-service and preservice training of health workers who provide HIV care and services, as well as to inform overall health workforce policy and planning. 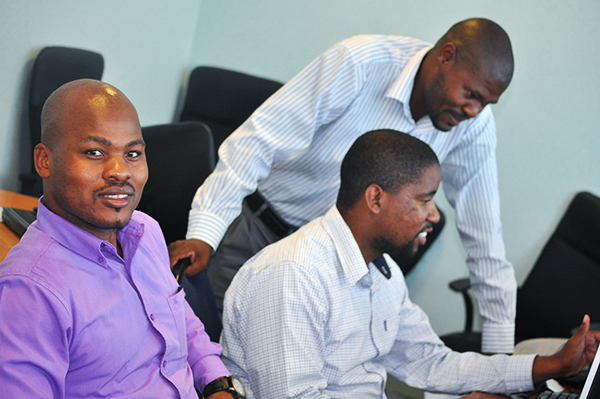 He also built capacity for the Ministry’s IT staff to support and update the software. Here are three IT technicians that now keep iHRIS humming. This story was originally posted on the CapacityPlus blog.